Lizelle Lee's fifth ODI half-century helped South Africa Women clinch the series 2-1 with a five-wicket victory against Pakistan Women in Sharjah. Set 154 for the win, South Africa were struggling at 35 for 3 - thanks to two early blows from Sumaiya Siddiqi - but recovered through a 79-run stand for the fourth wicket between Lee and Mignon du Preez. 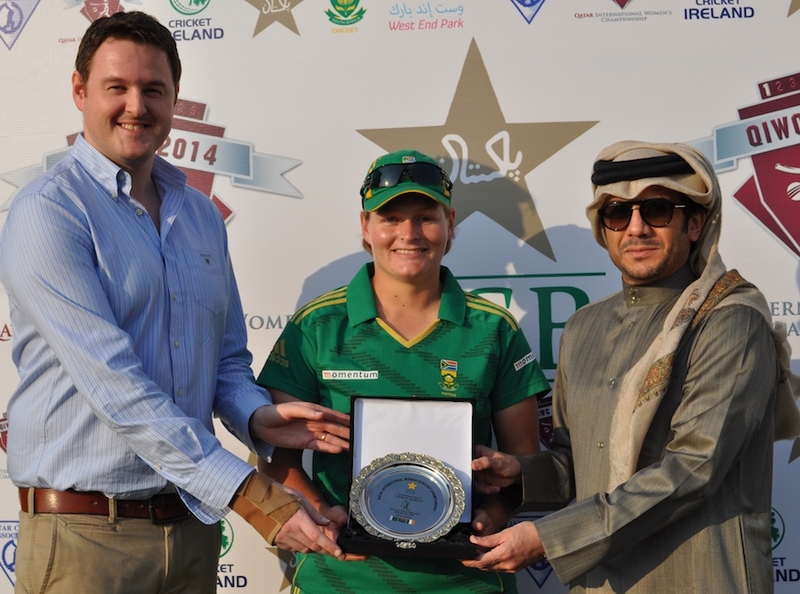 Lee stroked five fours and a six during her 54, while du Preez's 43 featured four fours. Both players were dismissed in quick succession by Anam Amin, but by then, South Africa needed just 23 more runs. Dane van Niekerk duly knocked off that total by hitting an unbeaten 27, as the team was home with more than three overs to spare. Earlier, Pakistan, opting to bat, had been kept to 153 for 9, as they lost wickets at regular intervals right from the off. Their captain Sana Mir top-scored with 52, but received little by way of support from her team-mates, as only three other batsmen reached double-digit scores. South Africa's bowlers all went at under four runs an over, contributing at least a wicket each.